The J107E3 Series PC board relay is small in size with PC pin mounting. Contact arrangement options are 1A, 1B, or 1C with coil voltage from 3VDC up to 48VDC and coil power options of .36W or .45W. 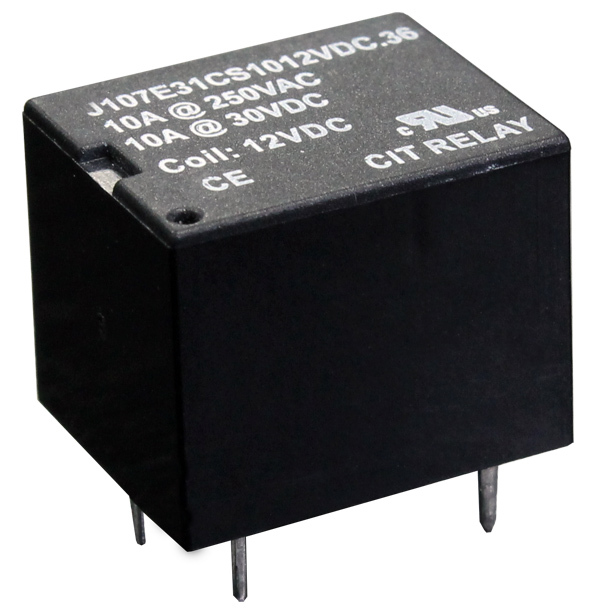 The dimensions of this small relay are 19.0 x 15.5 x 15.3mm. Agency approval for the UL-approved relay is E197851. This unit features an electrical life of 100K cycles and a mechanical life of 10M cycles.